I sat down briefly with up and coming poker star ElkY (Bertrand Grospellier) to ask some questions and briefly discuss his upcoming EPT tournaments. KiD[ReD]: Hello ElkY, thanks for taking the time to participate in this interview. For those poker players who haven’t heard of you, could you please let them know what limits/games you play? ElkY: I play No-Limit Hold’em almost exclusively, on all kind of limits, however I prefer 5/10 on PokerStars and 100 NL on Eurobet. I also play tournaments and will soon join the EPT in France and Austria. KiD[ReD]: Many players enjoy watching you play head’s up, and have often seen you play multiple head’s up at the same time, including the $1000 and $5000 buy-in’s. Is this something you do mainly for profit, or for pleasure? ElkY: It’s actually both – I really enjoy the thrill of big heads-up games and the competition, but I’m also getting good at them and making good money from them as well. KiD[ReD]: You mentioned that you will be playing in the EPT (European Poker Tour) in both France and Austria. I assume you won seats via online satellites? If so, what are the buy-in’s or prize pool to the two events you will be attending? ElkY: I won one seat in a PokerStars qualifier, and the other on the Progamer Challenge Invitational, where I defeated 8 other famous progamers to get the seat. The buy-in’s are $2600 for each event. KiD[ReD]: Congratulations! Is this the first time you will be playing in a live poker tournament? KiD[ReD]: You seem to be mainly a ring-player. Is there a reason you do not like to play tournaments online? Also, how do you plan on preparing for the upcoming EPT events? ElkY: I play a few tournaments online, but I surely prefer ring most of the time. I also like Sit-N-Go’s a lot as well. I played much more tourneys these past few weeks and I hope that I’ll do well in the EPT. KiD[ReD]: I’m sure you will do very well. You mentioned earlier that you play on Eurobet as well as PokerStars. PokerForums.org is offering a unique/special rakeback and deposit deal on Eurobet. Why do you play on Eurobet; why do you like it? 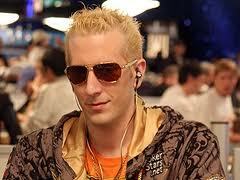 ElkY: The rakeback is great to build the bankroll, and the tables are much easier than pokerstars. Eurobet also has 6-player-max tables which I like for short handed play. KiD[ReD]: 6-handed tables for limit, or no-limit? ElkY: NL, I almost never play limit. KiD[ReD]: So you would recommend players to try Eurobet then, as an alternative to PokerStars? ElkY: Yes, it’s a great alternative. I think both websites are great for different reasons. KiD[ReD]: Regarding rakeback – many people do not realize how much money is taken away from rake. Is rakeback really worth it? ElkY: Yeah for sure it is, that’s a huge bonus at the end of each month. KiD[ReD]: You seem to excel in everything you do – you are a professional in the games of Starcraft, Warcraft 3, and poker. Why do you think you are so talented in everything you do? Could it be related to a competitiveness factor? ElkY: I love competition, and I love pressure. I think handling pressure well is one of the most important factors in everything that you want to do at high level/stakes. KiD[ReD]: Elky, thank you very much for taking the time out of your very busy schedule to participate in this interview. We wish you the best of luck in the EPT tournaments in France and Austria, and will be sure to follow your very promising poker career. ElkY: It was my pleasure. Thanks, and good luck to all of you.